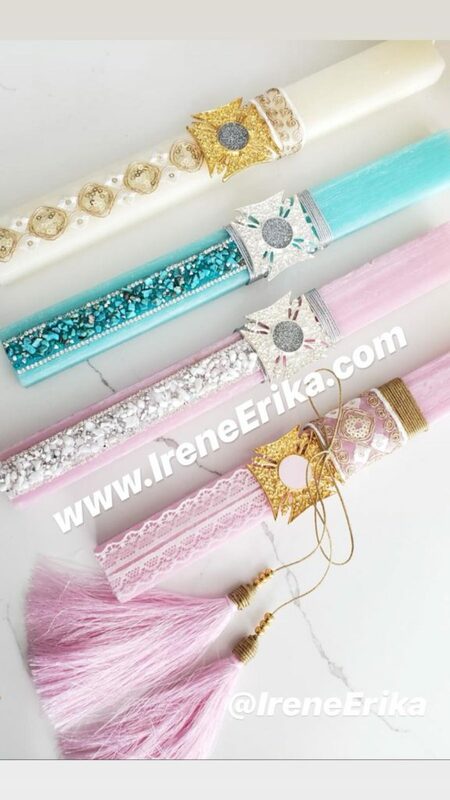 Irene Erika is a Greek American designer from New York, who was inspired by her yiayia to design a line of Lambada’s (Easter Candles) and establish the charity #LambadaForACause, where she donates 20% of the profits to a charity in Greece. This year she is beyond excited that ‘Xamogelou Tou Paidiou’ (Smile for a Child), a non profit organisation that helps orphans in Greece, partnered with #LambadaForACause. “It’s the best feeling in the world to give back and to have the opportunity to make children smile, is everything for me. I’m a happy person and I love to make others smile and laugh. This partnership with ‘Xamogelo Tou Paidiou’ has brought so much joy in my life and I hope that I will do the same on a bigger magnitude for them. I hope and pray for its success” Irene said. 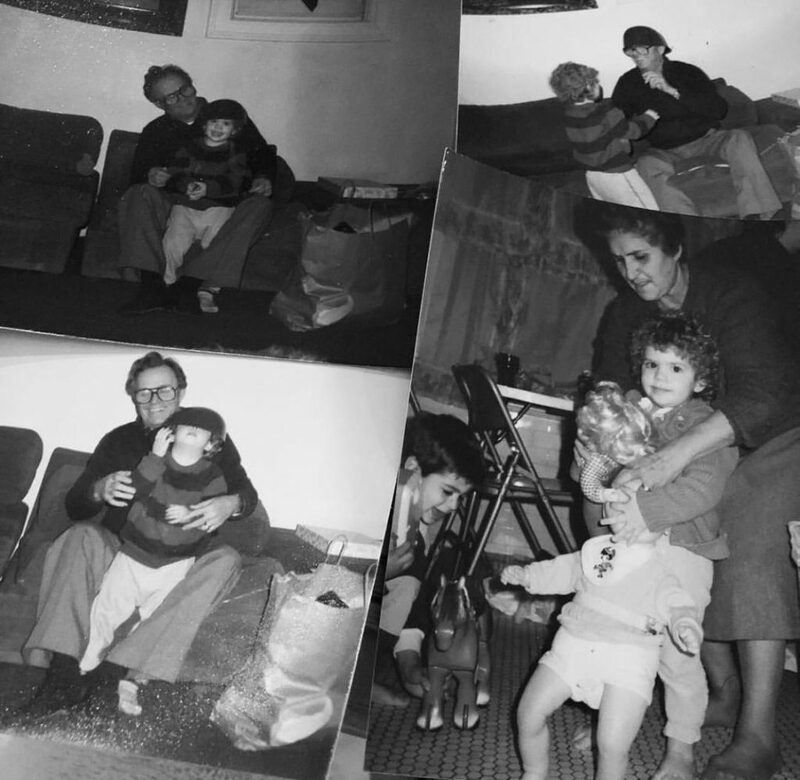 The idea for #LambadaForACause came from Irene’s yiayia, whom she lost 2 years ago. They became very close in Irene’s adult life, and her Yiayia was proud of her jewellery. Irene remembers one of their very last conversations, where her yiayia mentioned the next time Irene was in Athens, she should visit one of the non-profit organisations for orphans. “My grandparents were very giving people, her words always inspired me to be a better person and she may be long gone now but she inspired this project. I have two Angels above me, I want to make them proud. I miss them every day and this project I feel them with me. I was lucky to have a loving family growing up, I hope I reach my goals. I want to raise as much as possible,” she continued. Irene had dreamed about teaming up with a charity for a while. “I kept it a secret for months… I took a risk, booked a ticket to Greece and went to visit them (‘Xamogelou Tou Paidiou’). We had talked over the phone prior, but nothing is ever guaranteed. I mean I’m a small business owner and have never done anything like this before. I had friends in LA vouch for my character and got me in contact with the right people. I had the meeting with the Director of International Fundraising and they were so excited about this project. They have never done anything like this before. I must have cried twice during the meeting from joy. It started as an idea and it ended up happening. It was a Dream come true. They are amazing people and were so kind to me,” Irene remembers. 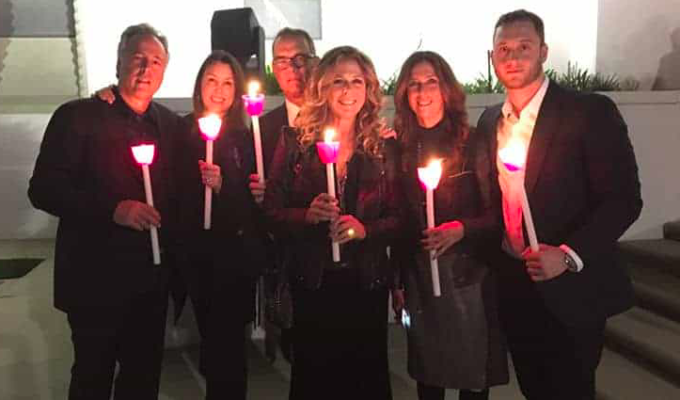 She was also invited to the “2nd Smile Bazaar” in Athens on April 20th and 21st organised by ‘Xamogelou Tou Paidiou’, to have a stand with her Easter candles among other designers’ clothes, jewellery, toys, beauty products, etc. and 100% of the profits from the Lambades will go to the charity. The young, talented designer doesn’t just want to make her family proud, but her clients as well. Using her PR skills, she created a successful, international business ‘Irene Erika’ using social media. 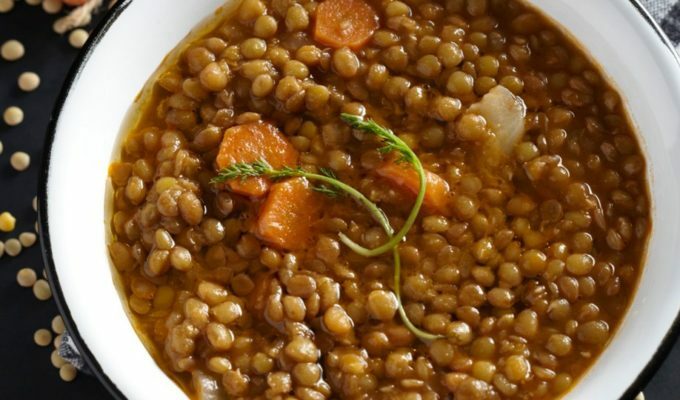 “It was the word of mouth from my fellow Greeks with the combination of high-quality products that built my business and without them, I wouldn’t be where I am today. I run this entire business myself. I not only design and market them, but I also handle all aspects of my business from making the accessories, production of metals, to wholesaling, and manufacturing. I’m not going to lie, it’s a lot to overlook but I love what I do and you can tell in my work.” Her clients from all around the world have been loyal to her and she wants them to know that they have also been an inspiration to this project, which isn’t just for this Easter, but every Easter. 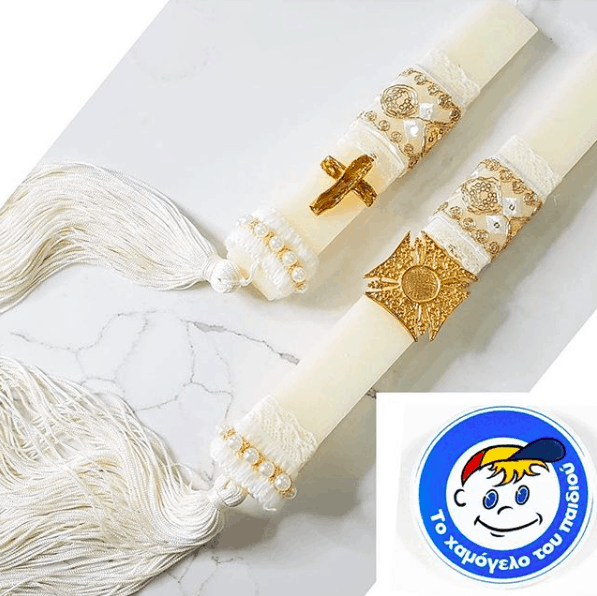 You can help #LambadaForACause and ‘Xamogelou Tou Paidiou’ by purchasing a lambada from IreneErika, and shipping is available worldwide! 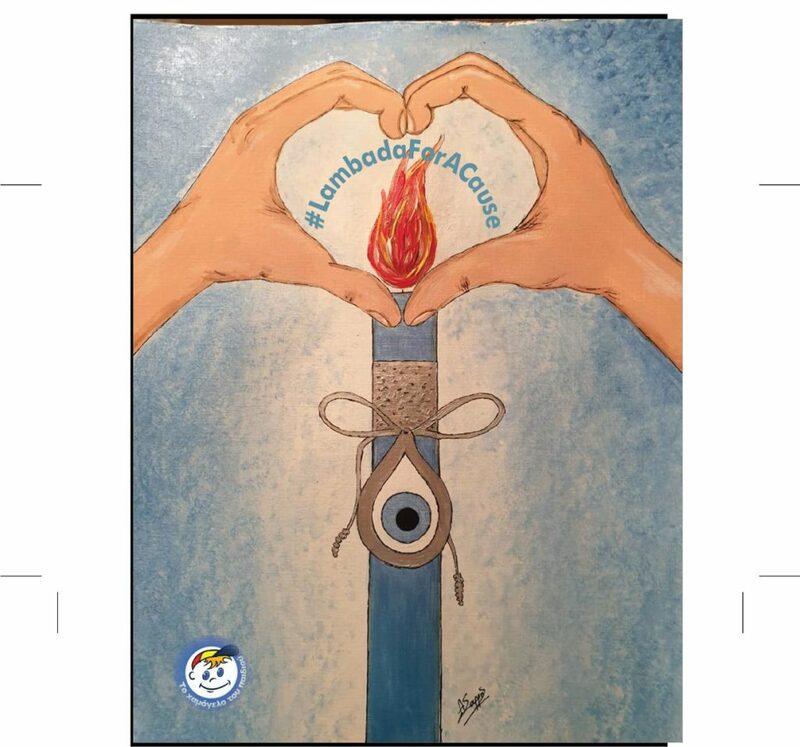 Once you receive your Easter Candle, upload a photo to your social media accounts, tag @IreneErika and use the hashtag ‘#LambadaForACause’ for your chance to be in the draw to win gift certificates for her website.